Jake Nickell is a former army brat whose parents dragged him all over the US before he broke free and settled down in Chicago. There, he continued the long-standing American entrepreneur tradition of dropping out of college to make tons of money. 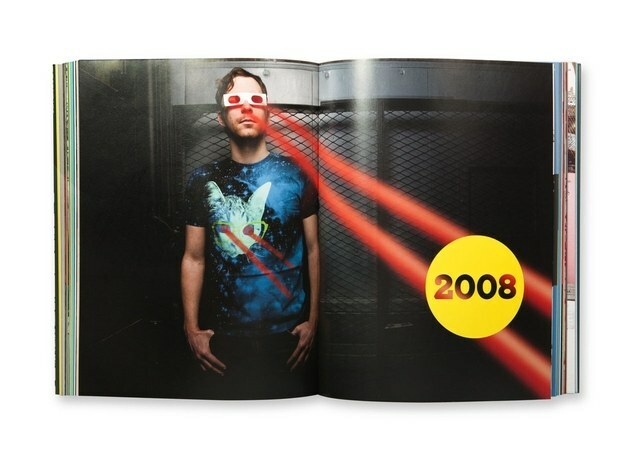 He and a friend, Jacob DeHart, started Threadless. Threadless is one of the biggest t-shirt stores in the world and has sold tens of millions of t-shirts since they started back at the turn of the century (the year 2000 for those who are reading this more than a century after I wrote it.) They are credited with popularizing the concept of crowdsourcing on the internet. But that’s probably just because they are the ones who popularized crowdsourcing on the internet. I could regale you with statistics here in the introduction but I won’t. Scroll down to be regaled. 3664 Threadless t-shirts on the Shirt List. On Threadless and Twitter, you use the name skaw. Where did this come from? I used to write graffiti in high school and I chose the name skaw because it’s kinda like the word “wax” pronounced backwards. I drew a bunch of drippy wax on my letters usually… Funny thing is I didn’t even know ska music was a thing at the time, but then I got really into that stuff too for a bit. I believe you are a Chicago native. Is it as windy as they say? What do you like best about Chicago? I just like how real and honest and humble it is here. For the most part, people keep their heads down, digging into their work. They aren’t trying to be something they’re not here… it’s a pretty chill place, love the midwestern mentality people have here. Go outside. I love to hang out with my wife and kids at the beach or the park or in the woods or the mountains. Love to go snowboarding, paddleboarding, hiking, camping, sit around a fire. 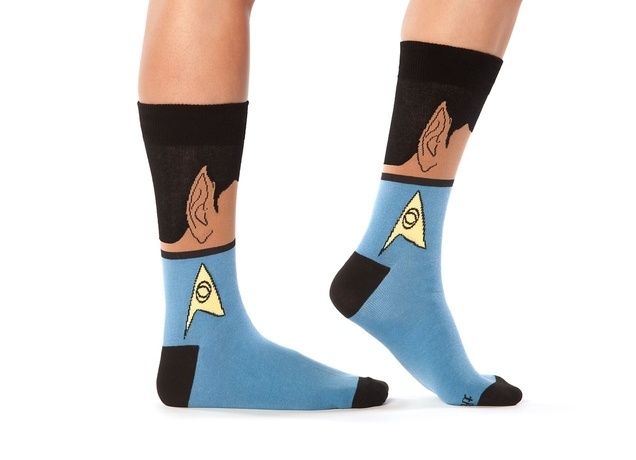 All I could find was Threadless product no. 11, My Elephant Loves Me. A t-shirt design created by Jake Nickell. 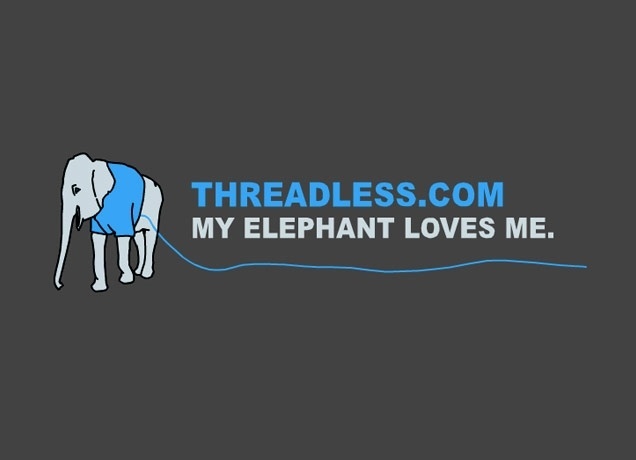 Can you tell us about your t-shirt design contributions (or lack thereof) to Threadless? You said “ “I still create code weekly, I’m heavily, heavily involved in the design and development of the site.” Is this really true? 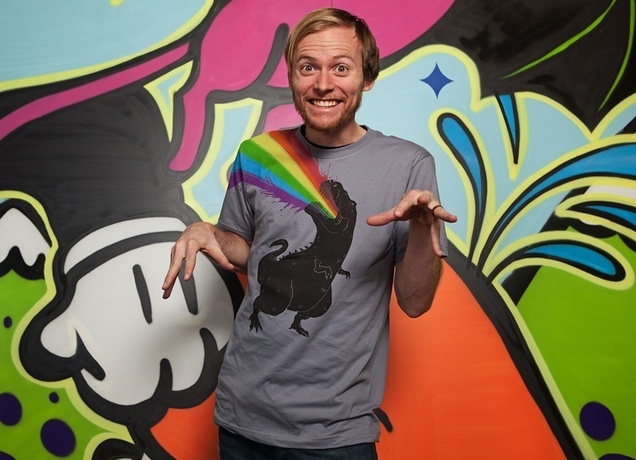 Is Threadless in a constant state of flux? Yep, I love to code and commit code almost weekly. Right now we are working on a new project called Artist Shops that is kind of my baby right now… It’s a way for anyone to start up an e-commerce shop of their own without having to worry about logistics like manufacturing, shipping, and customer service. You simply upload your art, choose the products you want to offer, and we take care of the rest. Regarding site design, at the end of 2012 the Threadless site underwent a redesign that didn’t last very long. Can you tell us about that? Most of that redesign is actually still behind the scenes today. The only thing that really didn’t make the cut was the top level navigation. It was more of a re-platforming of the codebase than just a redesign. As for the header though, we thought the “MAKE – PICK – PLAY – SHOP” navigation would be more fun and representative of the brand (start with make, end with shop) rather than our traditional “Shop – Participate” layout, but I think it was too confusing for most folks. Can you tell us about the t-shirt blanks that Threadless uses? We mostly use a standard 30 singles 100% cotton blank along with a bunch of other specialty blanks like tri-blends and sublimated tees. It’s pretty much just what you’d expect out of a t-shirt, nothing overly fancy and gets the job done! Get the Threadless book for $4.95 while you can! Threadless used to screen print all the t-shirts, but a few years ago I believe, some select t-shirts used DTG and I read somewhere that you have replaced screen printing with DTG and have moved to a print to order model. Is this true? Can you tell us about this decision? We still screen print quite a few of our goods and have mixed in DTG as well. DTG printing has gotten to a quality level on par with screen print (sometimes even better in cases like printing a photograph). It offers a lot of benefits to the business like allowing us to take more risks and not having to carry inventory on everything. DTG is a bit more expensive but there are no minimums, so we find it comes in handy in a lot of situations now that the quality is there. I think it’s inevitable as we see almost every industry “going digital” from photography to music and even with 3d printing… and it’s super exciting the possibilities that this new technology opens up. This is also why we’re now able to offer up innovative new projects like Artist Shops. How many t-shirt designs have been printed since Threadless started? How many designs have been submitted? How many active members does Threadless have? What’s the best-selling t-shirt and how many did it sell? Threadless is the original crowdsourced t-shirt contest site and it spawned many imitators, but none of them were quite able to replicate the success of Threadless. What did Threadless have that the others didn’t? I think we had a very slow, authentic build of relationships and trust with artists that is very hard to replicate. The technology is easy, but it’s difficult to build the community. I used the past tense there, not because Threadless is history but because, for the most part, the t-shirt design contest business model seems to be. Tell us about the future of t-shirt design contests with Threadless. Now that DTG print quality is so great, I think it’s creating a different landscape out there for what can be done to support a community of independent artists. I think the idea of a design challenge is still relevant, but it becomes more about the curation process of how you get the right things in front of the right people. We have an idea for a scenario where there could be hundreds of “design challenges” running in tandem and still be manageable from an artist’s standpoint… coming soon! Switching to a commission based reward system caused a bit of an uproar among the Threadless members. Commissions were later increased and that seemed to appease many. How have things been going since? Great! We’re super happy with the current model, it took a while for us to break out of the $10 sale death spiral we were in but now that we are able to get more value out of each sale, we’re able to give a huge chunk of that back to the artist which I think is going a long way to inspire the community to keep digging in. Apart from t-shirts, what are the most popular items on Threadless? Our hoodies and tanks are doing really well, along with the kids products, wall art, and phone cases. The Threadless tee I wear the most is Infinity MPG by Ross Zietz. How about you? That’s a great one 🙂 … I love My Little Pony haha. Assuming you wear Threadless every day, what are you wearing today? Right now I’m wearing Double Thumbs. Love the tri-blend. But I don’t wear Threadless every single day, though I do mostly wear t-shirts haha. Anything exciting coming up for Threadless? The big thing is Artist Shops, couldn’t be more stoked for that. On a smaller scale, I’m pretty excited that we’re going to take the whole company up to Camp Wandawega soon for a little overnight retreat. Should be some good hangs! People who make things every day. I look up to our artists so much and they inspire me to keep pushing Threadless. I don’t really feel like I relate very much to many other entrepreneurs but I do have certain people like Seth Godin and Ben Horowitz whose writing I really like to read. Probably remote northern Alaska. I was up there rafting 80 miles for 14 days with 2 guides, my dad, and my brother and we did not see another human being the entire time we were there. It was 24 hours daylight and we just rafted and hiked and cooked and read and hung out. We had one run in with a grizzly bear that thankfully ended well … it was super wild. There’s apparently this little island in northern Japan that dumps like a foot of powder a day and has a small ski resort on it. I want to go sit in a cabin for a month there and go snowboarding every day. 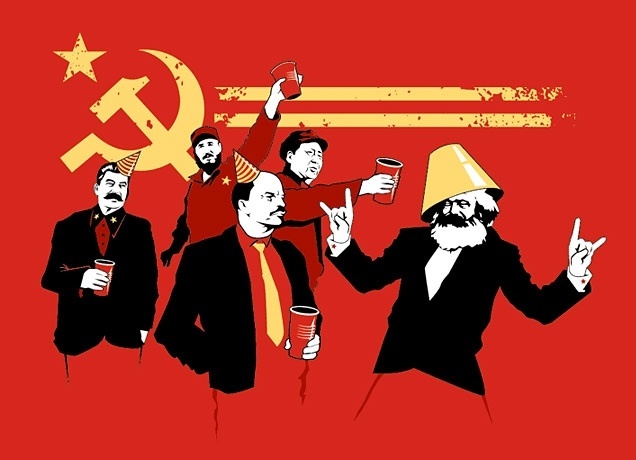 Which t-shirt websites do you visit the most? I’m a big fan of Print Liberation … and always love to see what Glennz is up to. 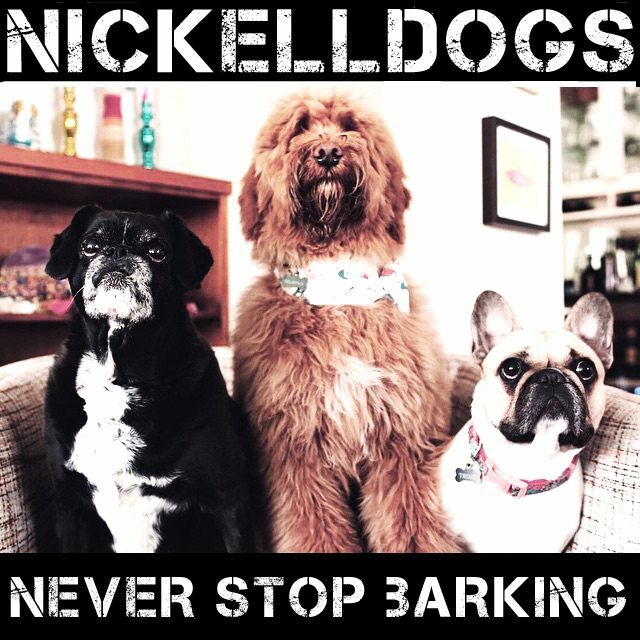 Do you have any advice for newcomers to the industry? Don’t buy too much inventory! Try to bootstrap as much as you can… and don’t try to do everything yourself, leverage platforms out there that can make things easier for you. Which Threadless artist would you like to see interviewed on the Shirt List? Mad Max Fury Road, saw it in both 2d and 3d. SO GOOD! Jake Nickell talks about t-shirts and Threadless. I mean, really! What did you expect him to talk about? Very insightful interview on t-shirt design. Thanks for sharing his interview!